Outlook Address Book Restore - Overview..
Microsoft Outlook the most widely used email client software, stores its contacts in a PST (Personal Storage Files). Sometimes these PST files gets corrupt, as a result one cannot access the important contacts of PST file. This situation creates very serious troubles like: business transaction may get bound etc. Address Book Recovery software proficiently recovers contacts from corrupt or damaged PST files of Microsoft Outlook. 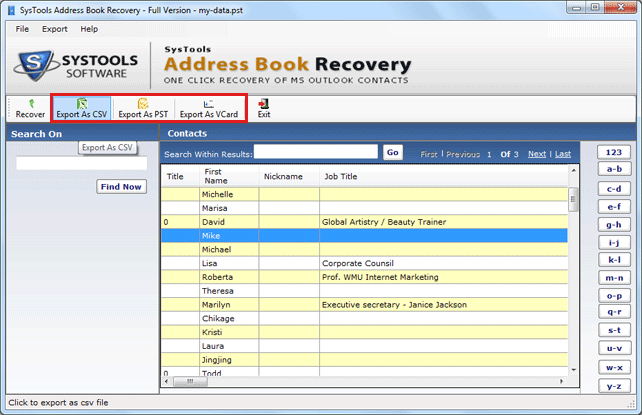 Address Book Recovery software supports to recover all the fields of individual contacts. 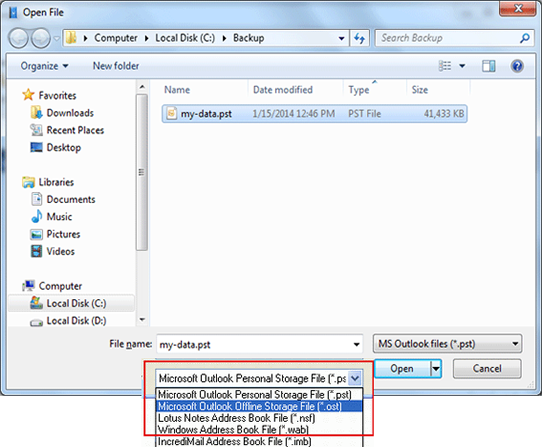 Users can save Outlook contacts in VCard, CSV & PST file format. Software supports to recover contacts of MS Outlook 2007, 2003, 2002, 2000 and 97.